Team 48 is very happy to show what we’ve been working on for the 2019 season. We have been working since bag day to make some changes that we view would improve the robot. We will be practicing like crazy before Midwest and testing these changes. Lets us know what you think. Good luck teams! I’m happy to post some new videos of xtremachen22 being somewhat-productive at the Midwest Regional. 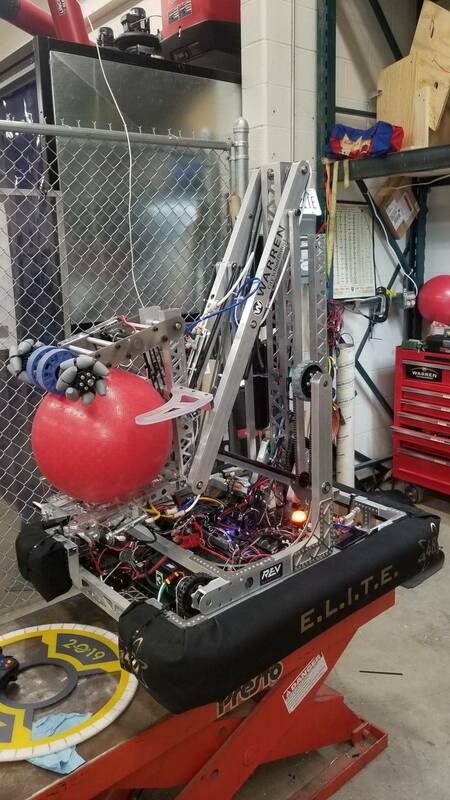 Many thanks to 111 and 2830 for forming such a fun and flexible alliance with us. From 111’s last second HAB2 full send in Semifinal 1-2 to picking up the slack for us when a gear stage stripped out in our left side gearbox in Finals 2, to 2830 playing great defense and boldly agreeing to park behind us as insurance against falling backwards as we were perfecting our HAB3 climb method, to 2830 helping our gimpy bot wiggle its way to HAB1 to win the entire event, it was a wonderful alliance to be a part of. Getting with another old school team like WildStang was a sweet experience, as well. Congrats on the well deserved win! Can’t wait to play with you guys in Pittsburg! We’ll try to keep our arm out of you guys’ robot this time around. Travis, another good looking robot! Can’t wait to see you guys at GPR. Figure I’ll toss these in this thread as the season progresses to make it easier for Detroit scouters. Fun times so far. 27-4, 12-0 in elims. Let’s see how we navigate the deeper Buckeye minefield. Still much room for improvement. We had to battle some demons with the new wrist tilt but it ultimately settled down. We’ve got a few further optimizations planned. The drivetrain held up well through even greater bot-to-bot interaction, but we are still planning further updates/strengthening. NEO’s are fun. Looking Forward to Buckeye next week! Vote for 3324 Week 4 FRC Top 25! Congrats! You guys have a great robot and a phenomenal team.